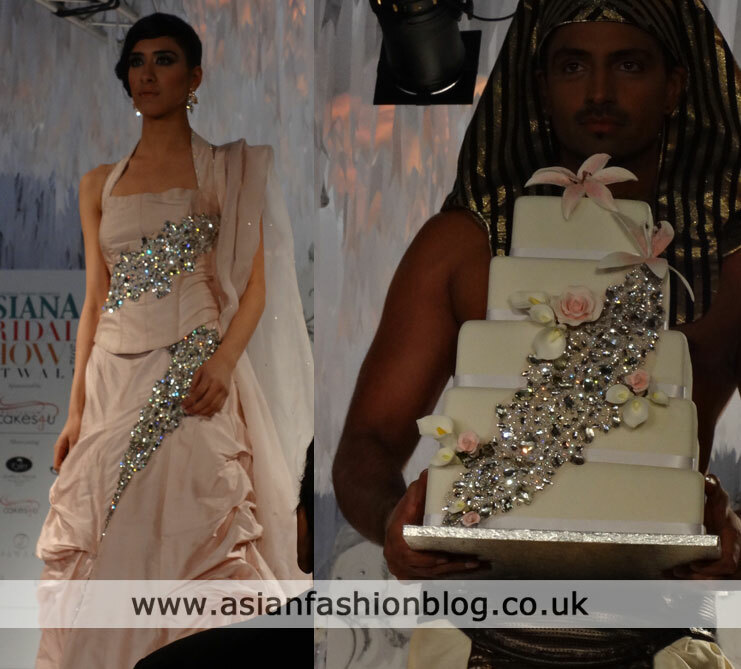 Would you believe there were wedding cakes on display at the 2012 Asiana Bridal Show in London? 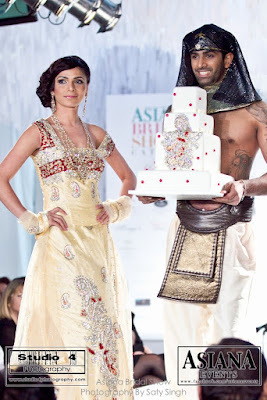 That's right, event sponsor Exclusive Cakes 4 U showcased their cakes during the fashion show. 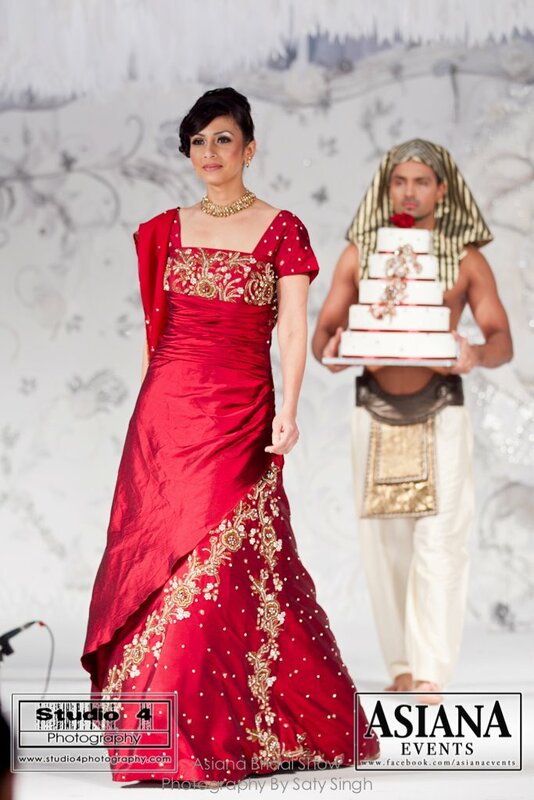 I love cake as much as the next person, but my main interest in the show was the clothes, and for this part of the catwalk, the models were dressed by Arinder Bhullar. 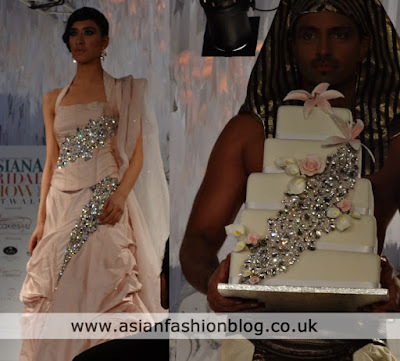 Each cake was customised to match the dresses. I'm not really a fan of over-matching things but with the first dress as the embroidery is quite subtle, I think it works that the design is replicated on the cake too. I didn't really like this yellow outfit or the cake. A massive thanks to Studio 4 Photography for these photos. That's THE red dress I've chosen to wear for my wedding. The one I emailed you about Nazia with all the anxieties! And now it's on the catwalk! I'm getting married in 2 months so I'll let you know how it goes... And thanks for your calming advice! sorry, i meant nazma, my brain didn't connect with my fingers!! yeah it's not a very great blog by any means tho so don't have any great expectations! !